When Mrs. Adrian mentioned that you were coming to visit, I was over the moon. I was so excited. Even if Hipilicious is your favourite niece, I had no hard feelings and was still excited that you were FINALLY coming to visit. My childhood memories are happy because of you uncle. You took your time when you were in high school and college to take Hipilicious and I to very many places in Nairobi. You took us to so many places but the ones we loved the most and you took us mostly to was the orphanage, Uhuru Park, show, railway line – yes. A walk to the railway line was a TRIP! And what was extra special about you? The fact that you took photos of all our escapades. You had a camera that was so precious to you and you kept it so well. You are the only person I know who still has a collection of over 200 LPs. My love of music came straight from you. Thanks for teaching Mrs. Adrian how to extract teeth – my first tooth extraction was a nightmare. Do you know that the only time I have seen Hipilicious cry was in 2001 when you had the nasty accident that paralysed the lower half of your body. I even remember the exact spot in Nairobi Hospital where her tears were falling. This accident rendered half of your body immobile but did that stop you from living your life to the fullest? Nope. Who owns the largest movie screen in Dzariguta land and is famous for showing all the latest movies and football matches? You. Who has built a double storied house? You. Whose daughter is now at university? Yours. Who owns a tuk tuk and a motorbike and ….. I could go on and on. Your resilience is amazing. You were in hospital for an entire year and did you complain? NEVER. Hipilicious solidified her favourite niece status by being the one who visited you EVERY SINGLE DAY. Okay, if she were my niece, she would also be my favourite. We had missed you in Nairobi, it had been 12 years! And it is now an honour to be the one to take you round Nairobi, to check out new buildings, to see Thika Road, check out Mbagathi Road and see developments in Kileleshwa. It is an honour for us to repay the favour – to be the ones taking the photos, giving you information and helping you go to places. I thank God for you and your family. Your kids are the best! We have so much fun with them. And we try to take them to as many places as you took us. Thanks for being the BEST uncle in the whole wide world. 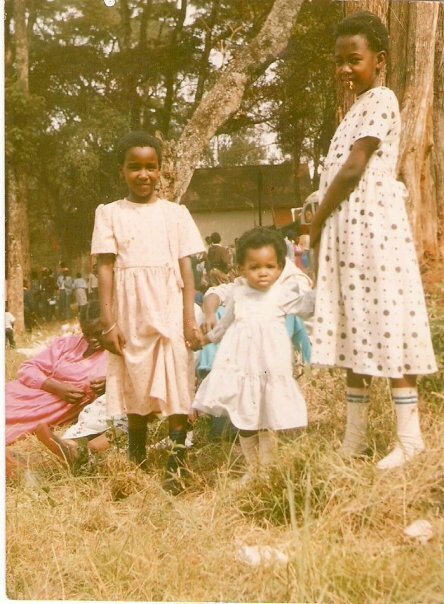 Some photos you took of us eons ago……Dang, I have been tall all my life. I am 6-8 years old in these photos! 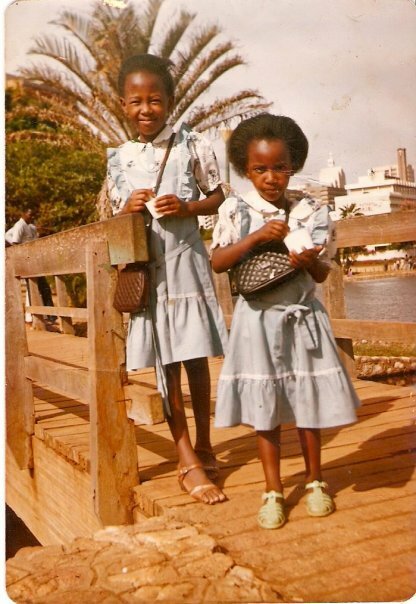 Last photo of rocks..the matching dresses, the purses, you squinting. 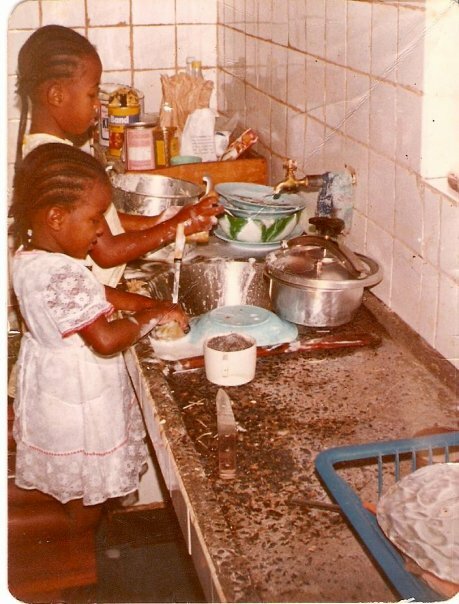 I think all sisters have photos like this. I genuinely love Uncle Good.